Are you Encino Localist ? Is your Air conditioner not working? If you have one of these common problems with your air conditioning unit or central air system in Encino CA, it may be time for Inspection and needs Air Conditioning repair. 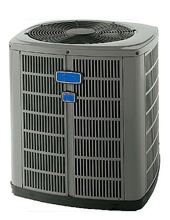 Your air conditioner problems could stem from any number of causes such as a stalled condenser coil, bad condenser, low refrigerant, coolant leak, leaks in duct work, defective air handler, or bad belt. In the summer months, an inefficiently-operating air conditioner can not only be uncomfortable, but can also put a big damper on your utility bill. 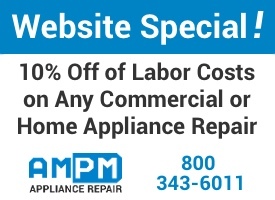 If your AC unit isn’t working, or if you suspect that it isn’t working as efficiently or effectively as it could, contact AMPM Appliance Repair Encino at 800-343-6011 for fast, affordable air conditioner repair services in Encino, CA. We’ll send one of our friendly and knowledgeable air conditioning repair technicians to quickly diagnose and fix the problem. Our Encino AC repair techs carry a vast inventory of parts for all makes and models of appliances to ensure that we can handle just about any type of residential or commercial HVAC repair on the spot. Online coupon special: Mention that you found us online to receive a 10% discount on labor costs! Call, schedule an appointment online, or contact us with general questions by completing the form below. We look forward to serving you! Copyright © 2015 AM PM Appliance Repair Los Angeles. All Rights Reserved.